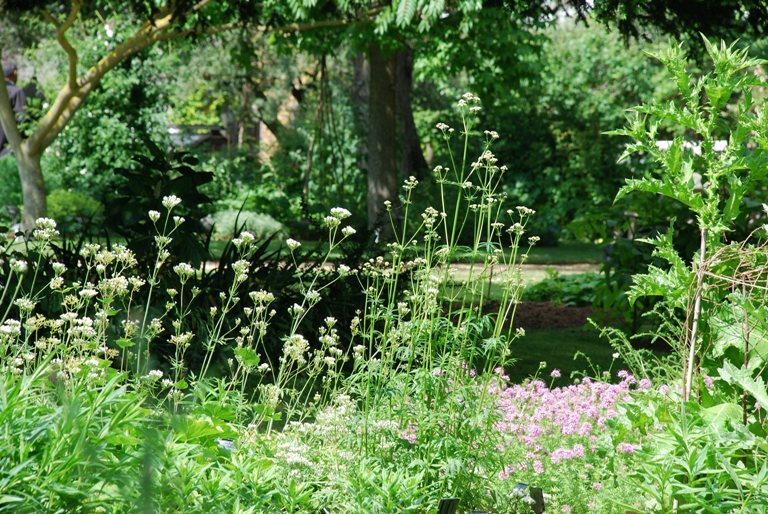 I spent a very lovely afternoon last week with Rona Wheeldon of Flowerona at the Chelsea Physic Garden, a peaceful haven in that big City that we call London. What a truly wonderful garden, full of history and interesting plants, not to mention the gorgeous cafe in which we not only indulged ourselves in a scrummy lunch, but also had to return for one of their magnificent cakes before we left! We were very glad that we took one of the tours of the garden – if we hadn’t, I fear that we wouldn’t really have understood the significance of the garden and how important it has been to the development of medicines through the centuries. Today the garden is still dedicated to promoting eduction, conservation and scientific research and the Natural History Museum’s Botany Department grows a large collection of Asplenium ferns for taxonomic research. 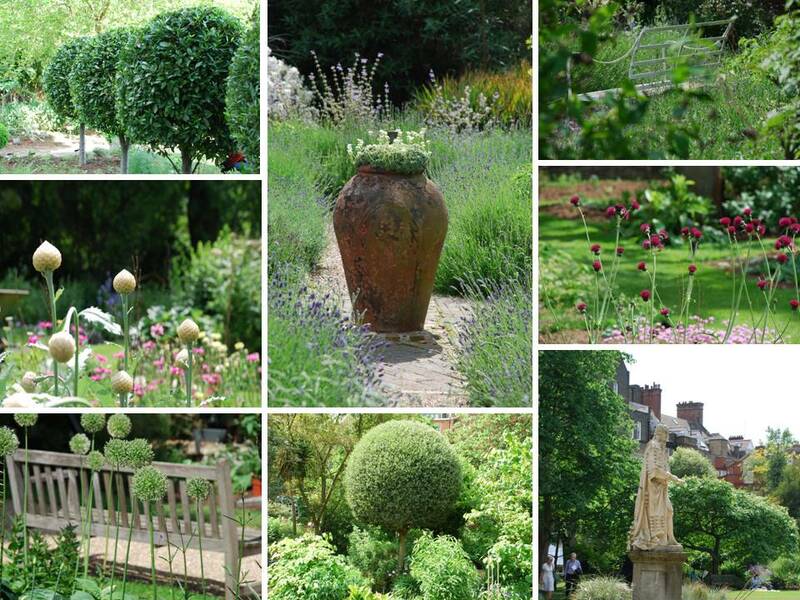 If you want to know more about the history of the site, then do take a look at the Chelsea Physic Garden website – I could write a whole paper on that, but what I wanted to share with you here are my highlights of our visit and tell you a bit about why. 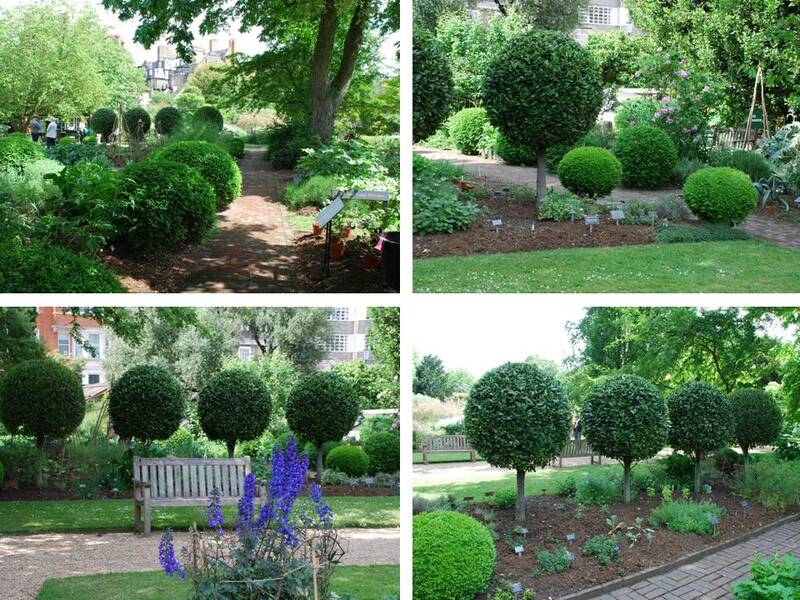 These topiary bay trees were along the pathway leading from the entranceway into the garden and were really stunning specimens. I think with the clipped box they create a sense of drama – they demand attention, you have this urge to look at them up close. The white benches looked gorgeous too and this really surprised me. White is a very difficult colour to use in England because we have very grey light. White objects somehow fight with their surroundings, the contrast just doesn’t feel right. Move to somewhere like Greece, where the light is clear and bright and it just works. Whatever the theory, on this occasion it was really quite enchanting and I was drawn to take a closer look – just lovely! The final highlight for me were the people we encountered whilst we were there. They were friendly, charming and really passionate about the garden. When we arrived we were greeted by Ramsey who was welcoming and smiley and this really set us up for what was to come. We had quite a chat with Ramsey a bit later on when Rona and I were immersed amongst the foliage taking pictures – he very flatteringly thought we were professional photographers…amazing what an SLR can do for your status! Pamela was the volunteer tour guide who showed us around the garden – she was knowledgeable, passionate and humorous too. We also dropped into the office to meet the delightful Sarah Lorrimer-Riley, whom we had been in touch with prior to our visit. 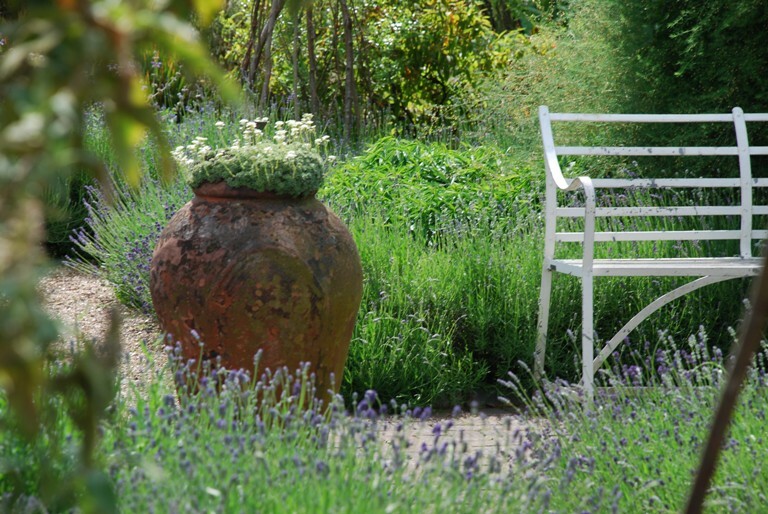 The garden is open late this week (24th-28th May between 12pm and 10pm ) so if you’re going to Chelsea Flower Show, why not pop in whilst you’re there…you can always partake in tea and cake if you need to rest your weary legs for a bit! P.S. 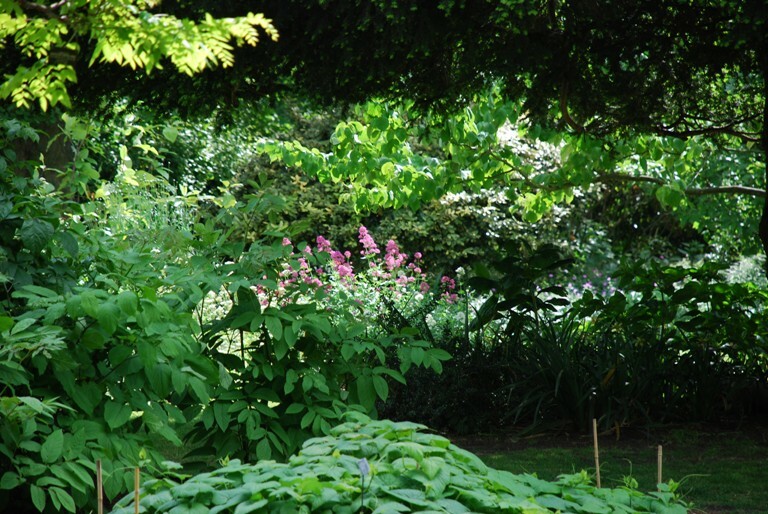 If you’d like to read about the garden from a different viewpoint, then why not take a look at Rona’s post about our visit there. Thanks Fiona – was very tranquil, not like being in the middle of the city at all – and FABULOUS tearooms making it even more worth the visit!